Lundberg is a new favorite brand, with tons of options for organic dishes, providing a flavorful mix of healthy grains that you can then add your own vegetables, herbs & spices (and fruits) to. Huge fan, especially of the most popular Jambalaya, Red Beans & Rice mixes and, of course the Yellow Rice mix as well as their plain rice mixes, too! Give them a try if you have not yet, they offer a natural (and organic) option to just about any of those common, unhealthy boxed food mixes that we all likely grew up eating. But, now all we have to do is turn the box, read the ingredients and see for ourselves what we are eating. Name brands like Zatarains et al, typically use unnatural (read unhealthy) ingredients in their mixes like Folic Acid, Niacin, Iron, Yeast Extract, Caramel Color and Thiamine Mononitrate. Gross! Lundberg uses natural and organic ingredients. Famed for its vivid yellow hue and savory flavor, Yellow Rice is a tasty dish that pairs well with any meal. 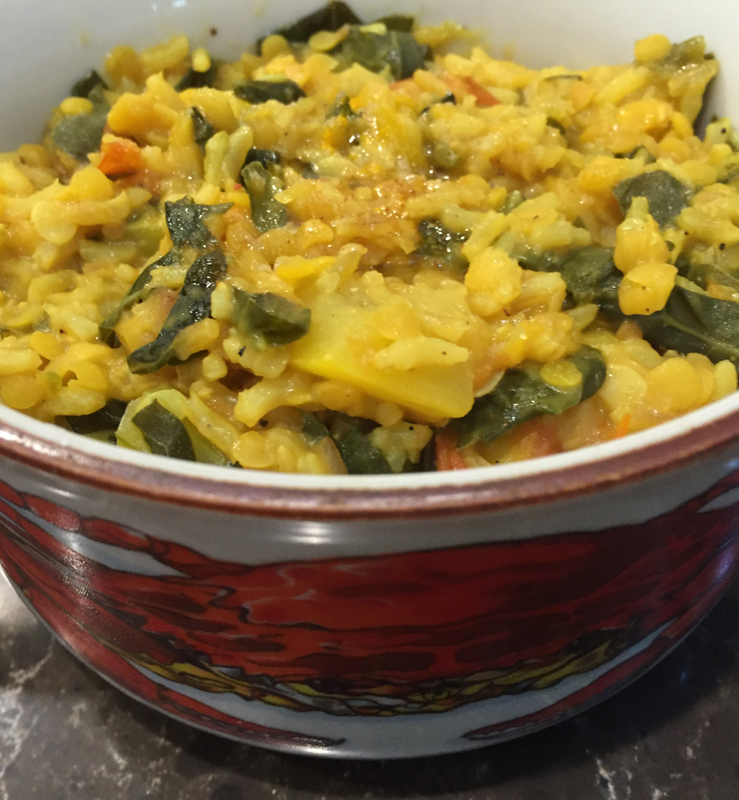 You'll love the spicy aroma and colorful flair of turmeric blended with bell peppers and brown rice. Serving Suggestions: Top prepared Yellow Rice with a heated mixture of drained black beans, chopped chipotle peppers, chopped roasted red peppers and chopped green bell peppers.